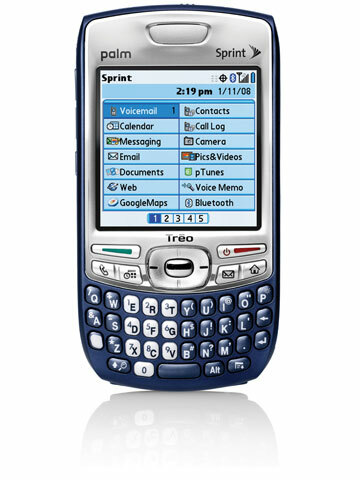 The Treo 755p is the latest smartphone from Palm and is available through Sprint Wireless. Over the past year and a half , Palm has been releasing a steady stream of Treo smartphones. The different models offer a myriad of features, running different operating systems and available through various wireless carriers. Over the past year and half, we’ve seen the introduction of seven new Treo smartphones, all of which are still available for purchase. Last week, Palm added the Sprint Treo 755p (CDMA) to the lineup. For consumers, the decision on which Treo to buy has become more and more confusing. A quick trip to the Info menu in Application reveals the Palm Treo 755p runs Palm OS Garnet 5.4.9, also found on the Treo 700p released in June of 2006. In October of 2006, Palm introduced the Palm Treo 680 (GSM, Cingular), a Palm OS based smartphone designed for “first time smartphone users”. Understanding the hurdles that face first time smartphone owners, Palm included a revised Phone application. The new Phone application featured a tabbed interface allowing easy access to the dialer, contacts, call log and your applications. Sadly, the Treo 755p includes the older Phone app (version 2.5). According to Palm, this version caters more to “power users”. Some might debate the usefulness of the new Phone application, but I found the improved GUI (graphic user interface) and ease of use to be a great improvement. Including it on the Treo 755p would have been a plus. If Palm was concerned about power users, perhaps they could have offered an option in the application. Simple view or advanced view allowing the end user to decide. Palms recent advertising campaign “Not just a cellphone, a Treo” earmarks how the focus has shifted from hardware design to software applications and improving the Treo experience. For the most part, the applications that are bundled with the Treo 755p are third party applications that are readily available to any Treo owner. GoogleMaps, Docs To Go, Bejeweled, PocketTunes and VoiceMemo are all fantastic applications in their own right, but easily added or already included on the Treo 700p. Stalwarts such as VersaMail, Blazer and PIM applications remain the same. 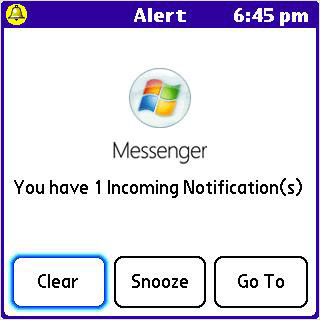 One welcome addition is the Instant Messaging application known simply as IM. The application is not pre-installed, but selecting the icon quickly generated a download from Sprint. I was quickly greeted by a home screen that featured icons from AOL IM, Yahoo! and Windows Live Messenger. Just prior to this, the application warns of potential data charges. I’d recommend avoiding this application unless you have an unlimited data plan. Upon selecting an icon, I was prompted to enter my login information. Setup on all three services was a breeze. Some interesting notes about the new IM application. 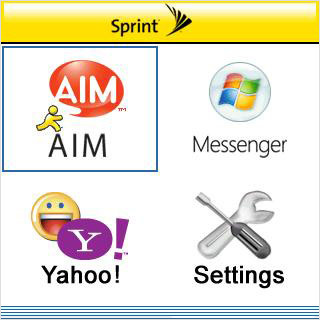 Palm IM supports AIM, Messenger and Yahoo! 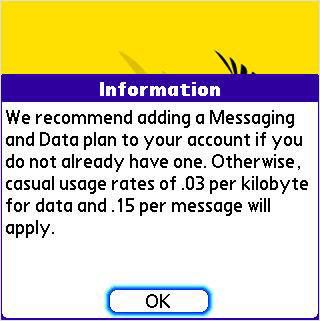 Palm has also included QuickText. Those familiar with the SMS program on Palm Treos, this allows users to quickly select from a preset list of messages. 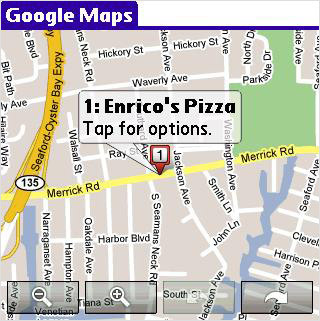 GoogleMaps, released last year, comes preinstalled on the Treo 755p. 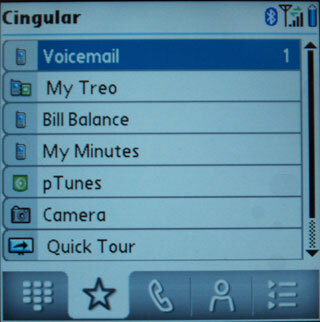 This application is readily available for all Treo users, but is worthy of including in the ROM of the Treo. GoogleMaps uses the data connection to generate maps and directions based upon the user input. The Treo 755p does not come with built-in GPS, but this mapping feature can be useful. One of the more handy utilities is the “Find Nearby Businesses”. For business travelers, you could enter your current address and ask GoogleMaps to find “restaurants”. I tested this feature and sure enough Google provided very accurate results. It offered 9 restaurants in my area, including Runyon’s which is literally in walking distance. Nothing new here with GoogleMaps, but a worthy inclusion on the Treo 755p. 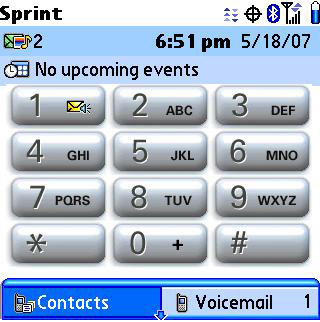 Sprint ships the Treo 755p with the Sprint TV application. This allows you to stream televison from an assortment of stations. In my testing, I streamed CNN live and the NFL Network without a problem. I compared the feed to my DirecTV feed and the Sprint TV version was behind. I didn’t experience any buffering issues or choppy video with the live TV. 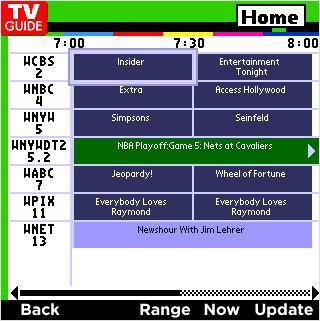 Some of the other channels are pre-recorded specifically for mobile TV and include E!, NBC Mobile and others. The clips appear to be of a higher resolution and I had some bouts with choppy playback. Sprint offers a premium “Live” package for $9.99 a month that offers you access to over 20 channels. Sprint TV is basically a branded version of MobiTV. Overall, I was very happy with the quality and attribute this to the EvDO connection offered by Sprint. In previous reviews of MobiTV, the buffering issues were caused by the slower EDGE data connection. Palm also packaged an application called On Demand. 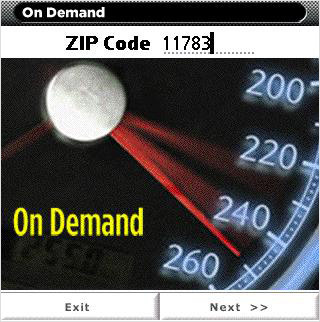 This allows you to enter your zip code and get a variety of news, some catered to your location. The sports section lacked the ability to find scores for the day and I think you’d probably be better off accessing a good mobile site for news. 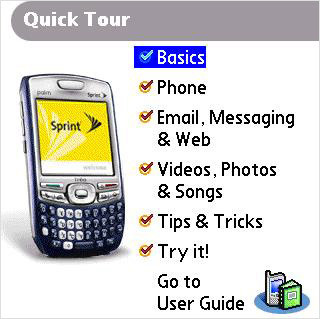 As with previous Treo smartphones, the Treo 755p includes a “Quick Tour”. The latest version offers a great tutorial on how use the Treo. For first time owners, Palm has done a great job in helping to educate new owners on how to use their Treo. The Treo in general can be a very easy phone to use, but does require a few lessons to get started. I recommend new Treo owners take the time to run through the Quick Tour. This will get you acclimated to using the Treo. Outside of the IM application and GoogleMaps, the software bundle remains identical to what is found on the Treo 700p. With the QuickTour, Palm again has done a great job in helping new owners learn the basic features of their smartphone making a very complex device easy to use. The Treo 755p is outfitted with an Intel XScale 312MHz processor and 128MB of memory. 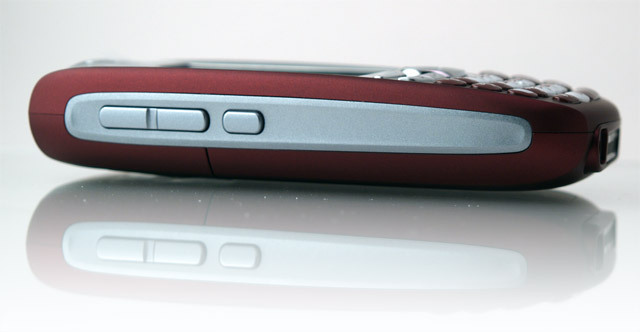 The main changes to the Treo 755p are cosmetic in nature. Gone is the external antenna, replaced with an internal antenna. The Treo 755p battery is roughly two thirds the size of the Treo 700p battery. Despite being similar in size to the Treo 680/Treo 750 batteries, it is not compatible. Considering most will not be upgrading from either smartphone, this won’t affect most users. 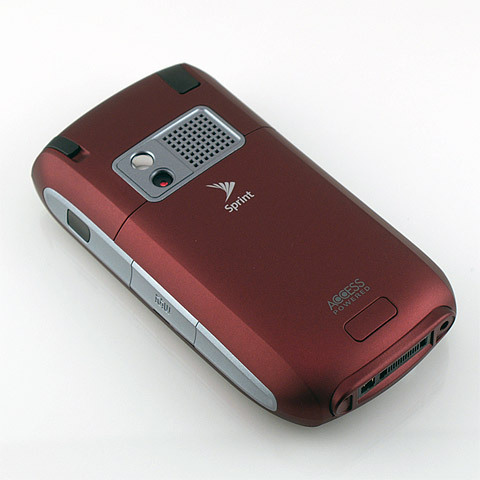 The form factor is similar to the Treo 750 and Treo 680. The build quality is impressive and similar (if not the same) as the Treo 750. When it comes to build quality, this Treo is more a sibling of the Treo 750, than the Treo 680. As we wrote in our Treo 750 review, the keyboard is the best I’ve seen in any device I have reviewed. 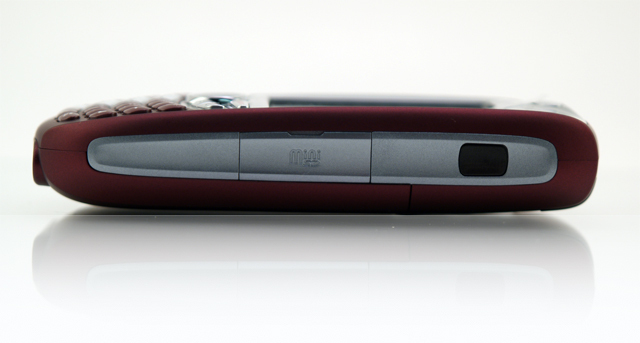 Available in two colors (midnight blue and maroon), the Treo 755p also features a rubberized coating. If you’re not the type to carry your Treo in a case, this definitely will help provide a more solid grip on the Treo. In general, it’s also a nicer surface that feels good in your hand. Overall, that’s my general feeling about this new form factor. It’s not as thin as competiting smartphones flooding the market (Moto Q, Blackjack, Dash), but it’s certainly feels smaller than previous generation Treos. Using the Treo 755p felt comfortable and it is lighter than the Treo 700p. While I’d like to see Palm release a smaller form factor, the curved back and internal antenna make a big difference in everyday use. This won’t necessarily show up when looking at photos on the Internet. To compensate for the changes in size, Palm had to change some things. This latest generation Treo uses miniSD cards. For those upgrading, you’ll have to upgrade your memory card(s). Prices are comparable with a 2GB miniSD priced similarly to a 2GB SD card. The Treo 755p has an enclosure on the right side of the device that will protect your card. 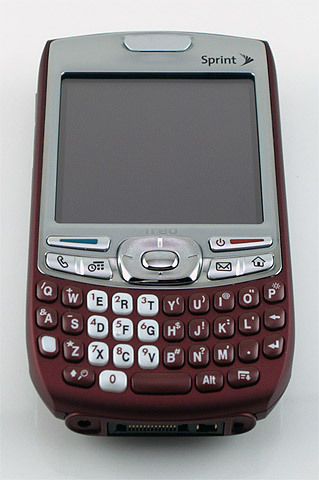 This was introduced on the Treo 680 and Treo 750. Quite frankly, the previous design was flawed, but was something that became accepted. Having lost (and luckily retrieving one of my SD cards), this new design is a welcome change. The Treo 755p uses the same connector allowing those who are upgrading to use their existing cables, car chargers and travel chargers. The IR port has shifted from the top of the device to the right. I’d venture to say most use IR to swap contacts, so the move is not a deal breaker for most. 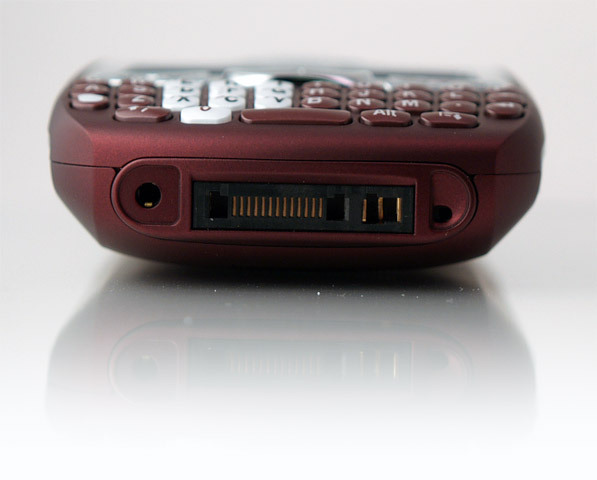 The Treo 755p uses a new battery that is roughly 33% smaller than the battery found in the Treo 700 series. Despite being similar in size to the Treo 750 and Treo 680 battery, the new battery is actually different. 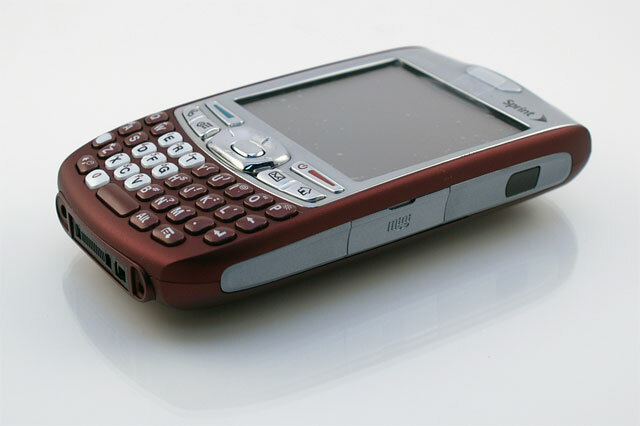 The Treo 755p does not share the same battery as either the Treo 750 or Treo 680. Batteries for those phones are not compatible with the Treo 755p. Like its predecessor, the Treo 755p supports Bluetooth 1.2. This means no support for A2DP or Bluetooth voice dialing. You can achieve this through third party software Softick Audio Gateway, albeit at an added expense. I’m happy to report the Treo 755p performed well in my tests with both car kits and assorted headsets. Once you set up a Bluetooth device, the Treo 755p did not lose the connection. This is a problem that has plagued some Treo 700p owners. When in range, the Treo 755p immediately picked up the coordinating device. According to Palm, the Treo 755p incorporates some of the fixes in the soon to be released Treo 700p mainentance release. I had no issues with sound quality. 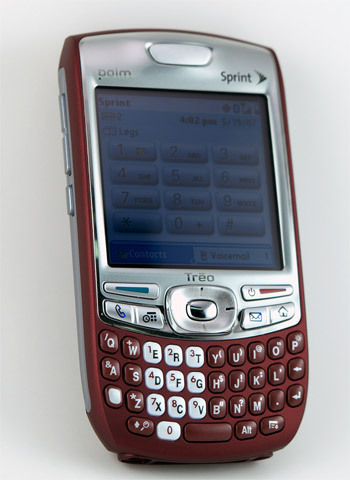 The phone performed as well or on par with previous Treo smartphones. My normal usage includes checking emails at 15 minute intervals (when away from my desktop), moderate phone usage and Bluetooth connectivity. I tried an test of what I deem a very active user. I was logged into all 3 IM accounts set SnapperMail to retrieve every 5 minutes. When I started this test, the Treo had rough 75% on the battery meter. I started at 7pm and returned at 9:30am the following morning. Battery life was at 25%. 14 hours of data connections at 5 minute intervals, while logged into IM, only took 50% of the battery life. Considering I had started with only 75% and still had 25% battery life, I’d consider battery life to be more than sufficient, even for power users. No support for SD. Those who upgrade will have to invest in miniSD. The Treo product line continues to evolve, with the key word being evolve. The Treo 755p is another evolutionary product, a virtual “best of Treo” with features found in Palm smartphones that we’ve seen before. The Treo 755p is best in class when it comes to Treos with EvDO for broadband-like data connections, excellent software bundle and an improved form factor. Despite the lack of new features, the Treo 755p is a superb smartphone. If you are a first time smartphone buyer considering a Treo, then look no further than the Treo 755p. For those Treo 650/600 owners who weren’t compelled by the feature set in the Treo 680, the Treo 755p will prove to be a worthy upgrade. If this phone were released last June, it would be an unbridaled hit. With new innovation such as the iPhone and Palm’s forthcoming transition to Linux, consumers will ultimately decide if this “Greatest Hits” release is worthy of their dollar. The Palm Treo 755p retails for $279*. *after rebates with 2-year commitment. 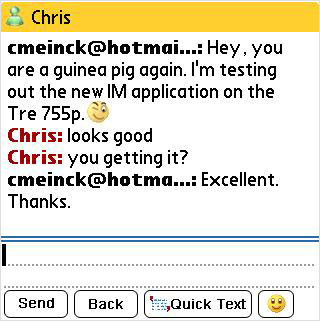 Discuss the new Treo in our Treo 755p forum.